1. Combine the ingredients and then coat both sides of salmon with your rub. 2. 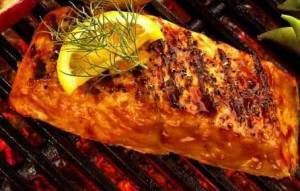 Grill, broil or bake the salmon. Grilling is always going to taste better and never over cook. 4 minutes on each side is a good rule of thumb to start. Garnish with a wedge of lemon.